This is a quote we’ve heard about so much, and it still rings true, doesn’t it? Reproduction doesn’t make you a Dad, being there for your children whenever they need you does. And I personally think that most Dads today realize the truth of this and are putting in every effort to be worth of being called Dad. Yet, you can’t help but admit that fathers get a raw deal, compared to Moms. For starters, the estimated expenditure for Mother’s Day is billions of dollars more than that of Father’s Day. There are poems and odes written to motherhood, but less than half of them for fatherhood. 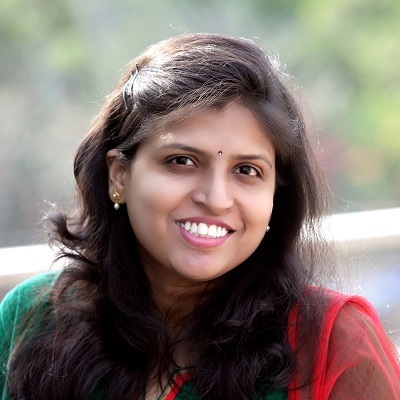 This is discrimination of the highest order, isn’t it? Yes, it is, especially when you think of how far Dads have come. Particularly in countries like India, where fathers weren’t Dads – they were heads of the family. 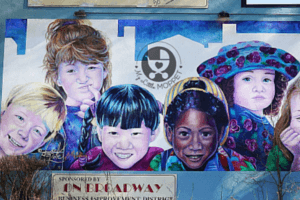 There were Dads who didn’t know how old their kids were, or which class they were in! Moms have always been nurturing, and today’s Moms have enough and more role models for themselves. However, modern men have had to put in extra effort and create their own role models to be the wonderful Dads we have today! 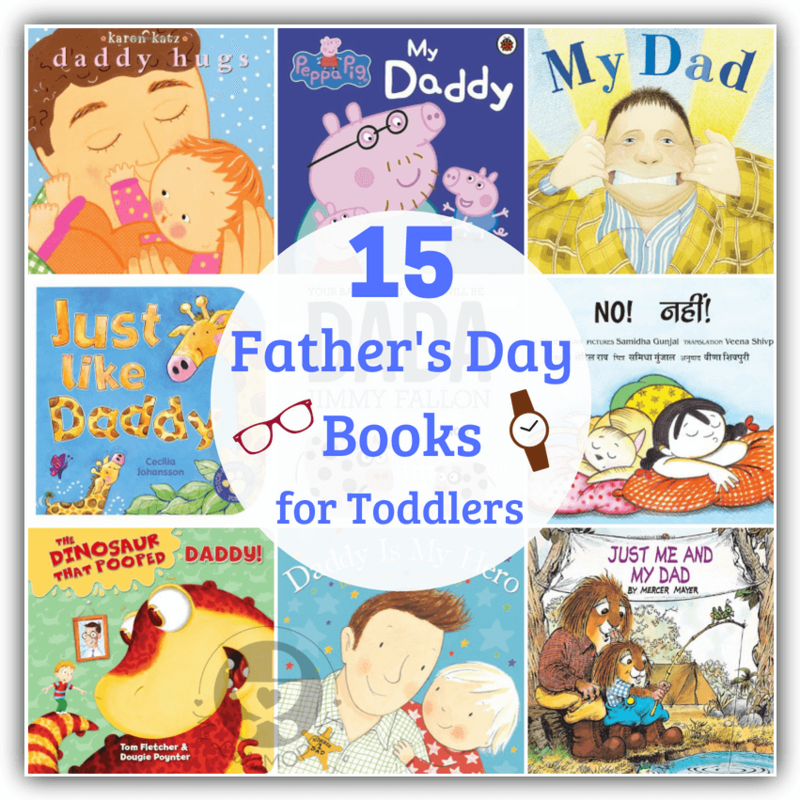 So let’s make this Father’s Day special, by starting out with an activity that is among the best for parent-child bonding – reading!! 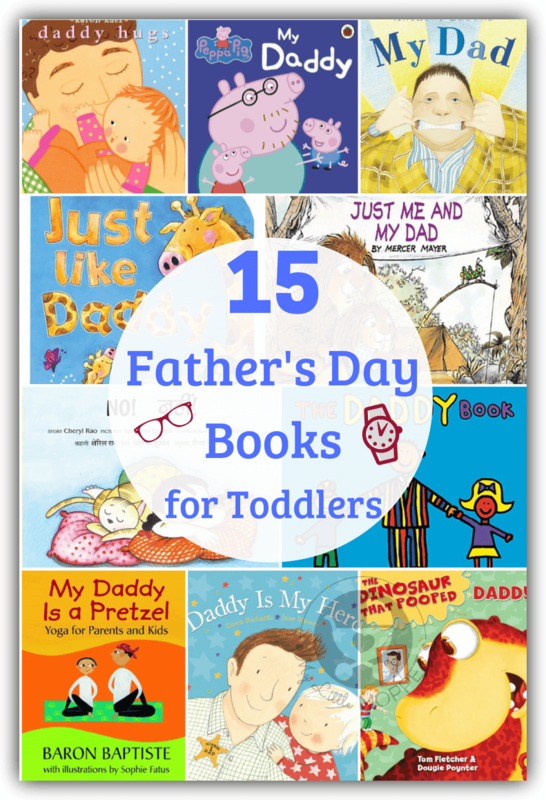 Here are 15 Father’s Day Books for Toddlers, and babies and older kids too. From a Dad who goes camping to a Dad who teaches yoga, this list celebrates Dads of all shapes and sizes! 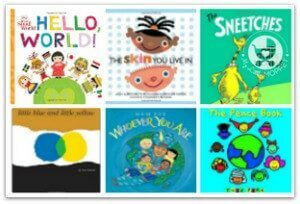 We love Karen Katz’ books in our home and they’re perfect for little babies too! 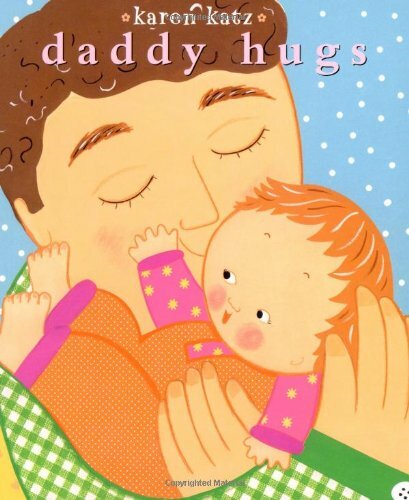 This is a cute little book for Daddy and baby to read together, and the illustrations are of excellent quality. 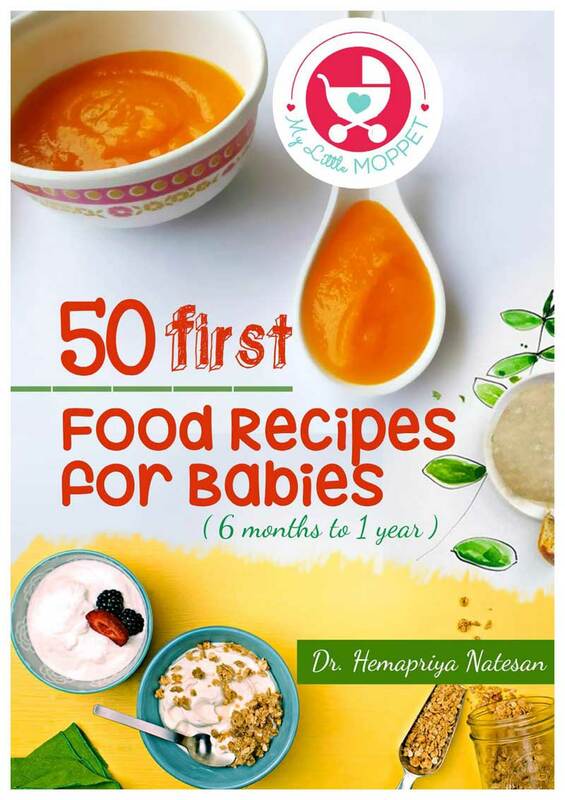 The book itself is hardy enough and will endure several sessions of baby and Daddy hugs and cuddles! This is another great pick for infants, with lots of interactive fun to be had! 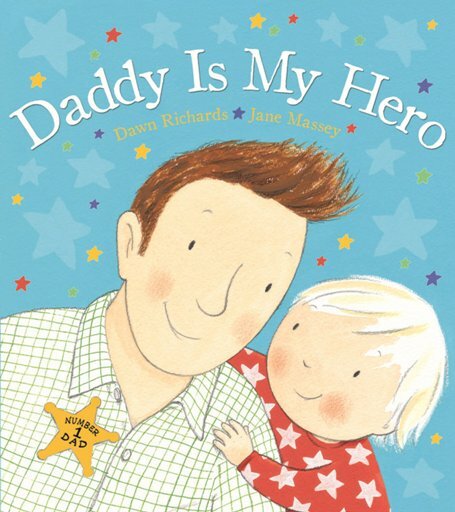 The pages have different textures that make this a touch-and-feel book for both Daddy and kiddo to enjoy. Toddlers will have fun trying to match the baby animals to their Daddies. Got a Peppa Pig fan at home? 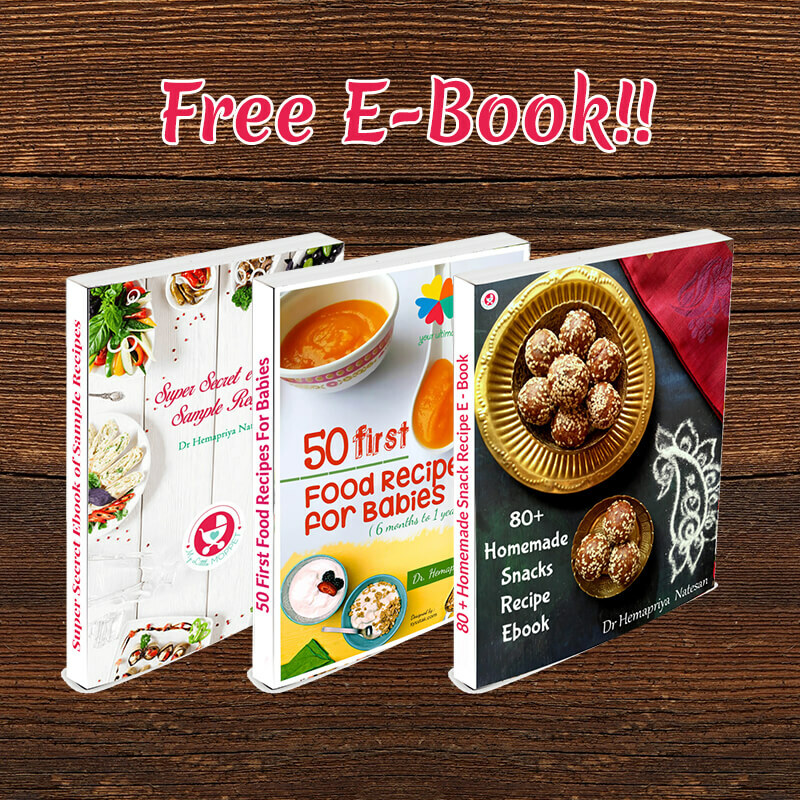 Then this book is a must have for you! You’re probably familiar by now with Peppa and George and their activities with Dad which may not always go as planned. 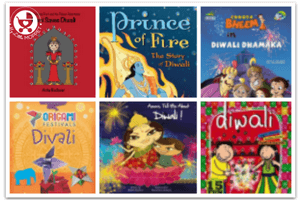 This is one book that your toddler will ask to read over and over again! This book is by Giles Andreae, author of the popular ‘Giraffes can’t Dance’. This one is just as delightful, and being in a board book format, it’s perfect for the tiny ones. The rhyming text makes it great for reading aloud, and the colorful illustrations are sure to catch and hold even a young child’s attention. If you’re a Mom, I know this little fact both frustrates and amazes you! After all that you go through, your baby’s first word is a sign of ingratitude! 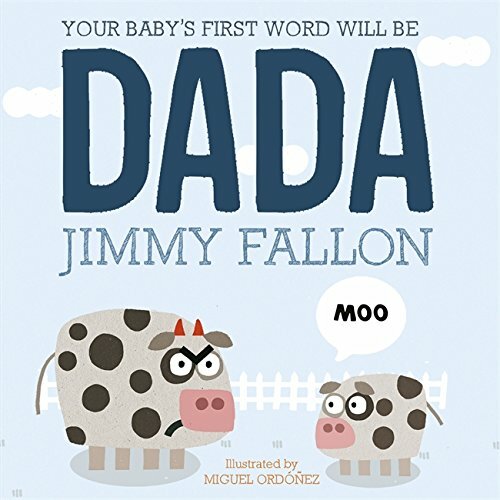 This cute little book talks about how this is a universal problem, in the words of popular comedian and TV show host, Jimmy Fallon.  The Little Critter series is popular in our home, and this one does not disappoint either! While the camping theme may not be that familiar in the Indian context, the father-child bonding certainly is! 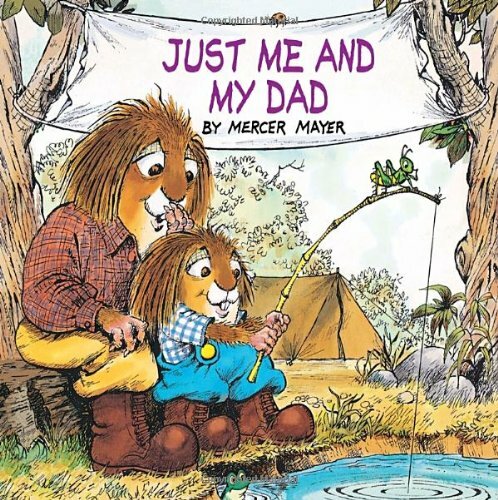 Little Critter and his Dad set out on a day of adventures, and like all fathers, Dad teaches valuable lessons while having fun too! For every little child, Daddy is definitely their first hero, and probably the only one that stays consistent through life. 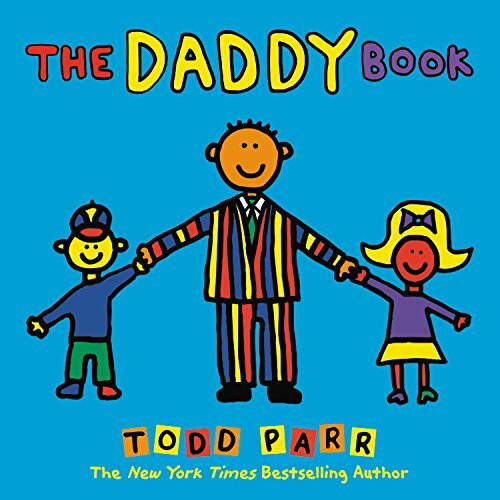 This book reflects that emotion, as Daddy can take on any role, from cowboy to astronaut – all in the course of a single night! 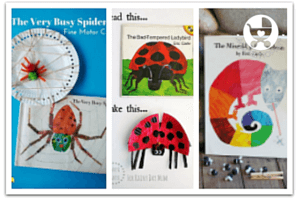 A great book for kids who love pretend play. As far as a toddler is concerned, there is nothing his Dad can’t do! 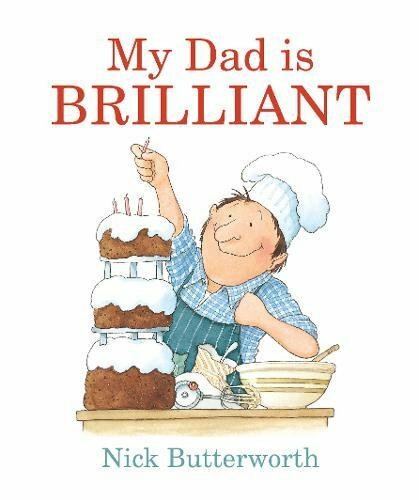 This cute book by Nick Butterworth is good for the young crowd who see Dad do everything from skating to singing! I like the fact that they’ve included cooking among Dad’s skills, and that it’s noticed by the young child as well. 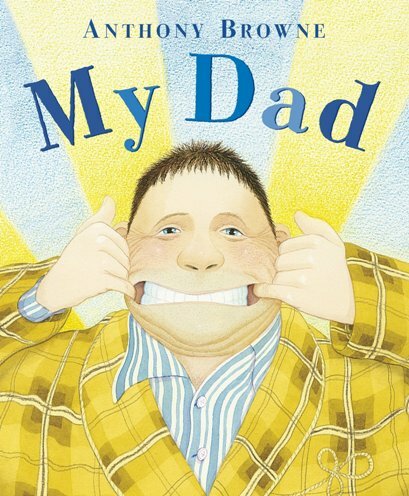 Dads can be fun and goofy like no one else, and My Dad is a book that celebrates this goofiness! 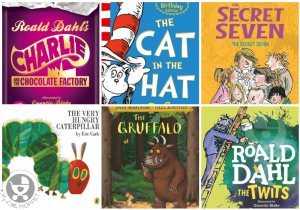 With funny pictures and relatable prose, this is a book that kids of all ages will enjoy – especially when read to by Dad! The fact that it’s available in multiple formats makes this a must buy! Many people have an idea of yoga being a woman’s thing, but popular yoga instructor Baron Baptiste turns that idea on it’s head in this book! 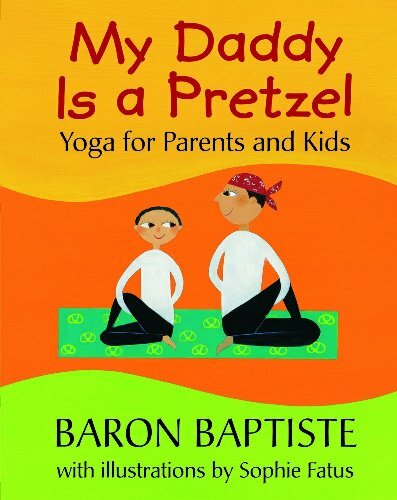 Here Dad teaches his child about yoga, much like the author was taught by his parents. A great book to introduce kids to yoga, along with lots of helpful information. Getting a haircut is a scary experience for many young children. 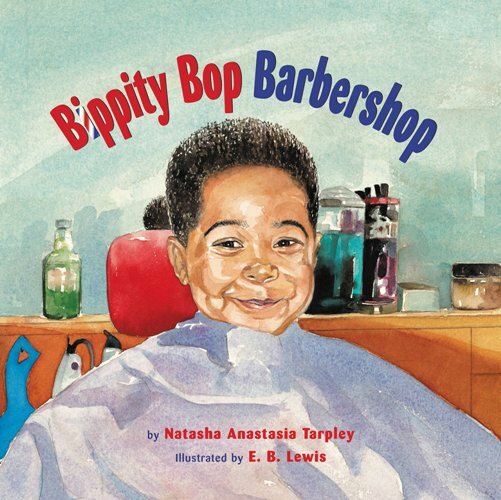 This book with the fun title is about a similar experience for a little boy Miles, who has to go to the barbershop. However, Miles has his Dad to support him and ease his fears – just like what good Dads do! 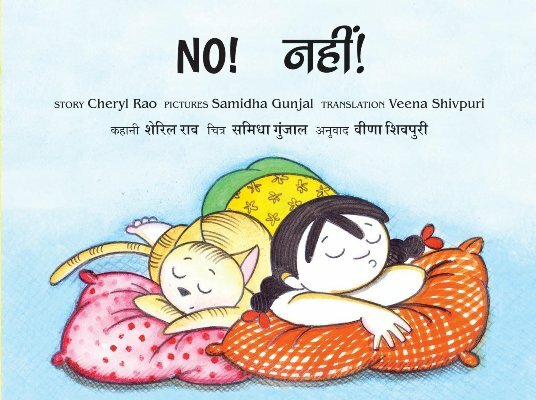 This Hindi English bilingual book is one that’ll have both parents and kids smiling – because both of them can relate to the book! Little Annika’s Dad has a hard time waking her up, because she says ‘No!’ to everything. A familiar morning scene in every household with kids! 15. The Dinosaur that Pooped Daddy! No, that isn’t a typo – the dinosaur did poop Daddy! The title of the book alone is enough to bring out the chuckles, and reading it only makes it better! Danny’s Daddy is hiding somewhere, and he’s searching for him. Wait a minute, is he inside Dino? Read the book to find out! 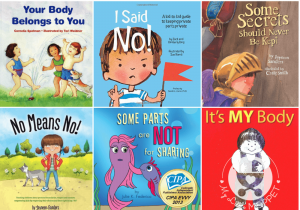 So go ahead and take your pick from these books and let Daddy and baby have a fun time reading aloud and laughing louder! Happy Father’s Day!